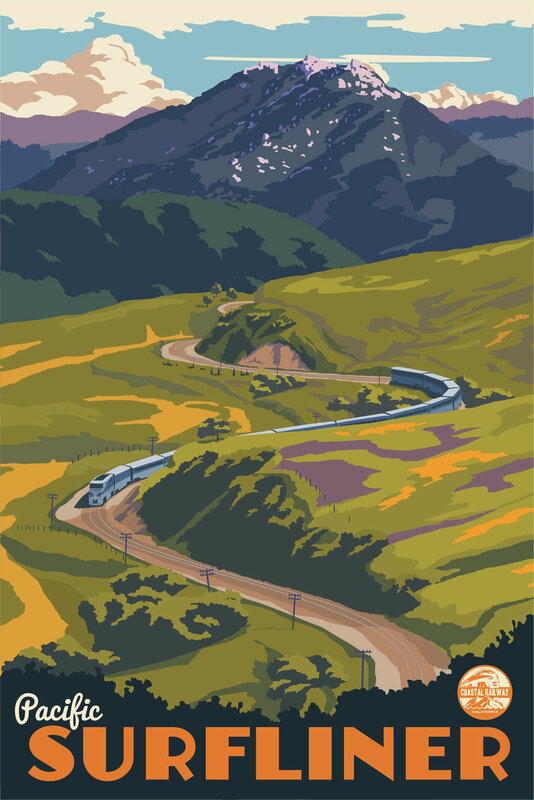 Steve Thomas' newest piece carries forward the tradition of great Art Deco Railway Travel Posters. The 1930's was the Golden Age for Art Deco; and while shadowed by the Great Depression, it was a period filled with imagination and driven by dreamers. Artists played an important social role as they developed imagery that depicted hope and opportunity; and one of their favorite medias to project their artistic vision was poster art. From lavish cruise ship travel to the soaring air posters of the 30's travel posters told a story of places most had only dreamed of seeing; but some of the best Art Deco Travel Posters were those of the Railways. 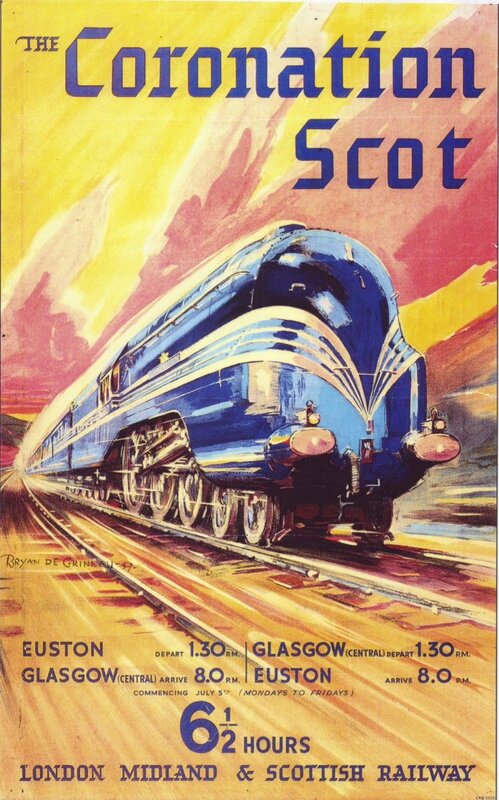 Collectors Weekly has a wonderful write-up on the history and importance of the Railway Travel Posters. "Almost immediately after the final spike was driven into the 1,912-mile First Transcontinental Railroad at Promontory Summit, Utah, on May 10, 1869, marketers began producing posters and other advertising materials designed to lure farmers and entrepreneurs living east of the Mississippi River to the Wild West. This sort of marketing effort was hardly unique to the United States. On November 7, 1885, when Canadians celebrated the completion of their nation’s even longer transcontinental railroad at Craigellachie, British Columbia, luring settlers west via advertising was deemed an essential part of nation-building. 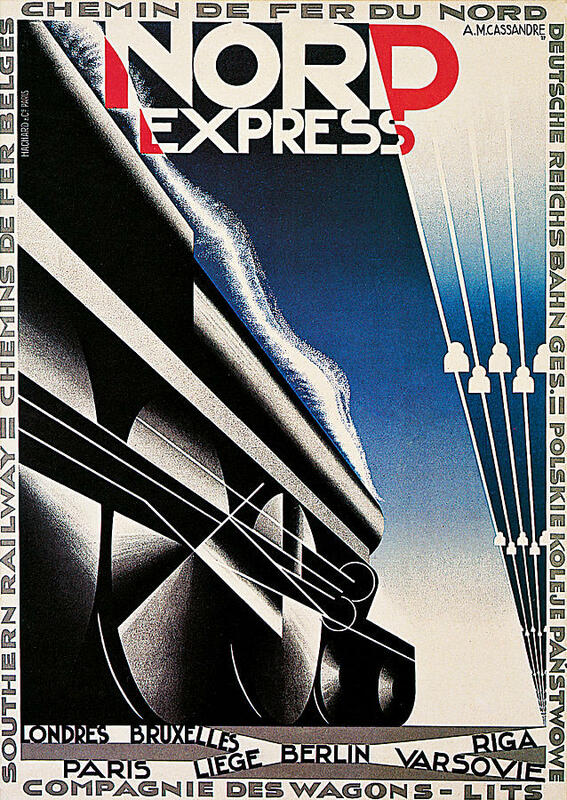 Indeed, executives of the Canadian Pacific Railway relied so heavily on graphic design, by the 1930s they had made room for a dedicated silkscreen studio within Montreal’s railway station, where posters and other materials were cranked out by the thousands. Similarly, half a world away in New Zealand, that nation’s Railways Department set up its own Railways Studios in 1915, defining the look of outdoor advertising in the country for more than half a century. 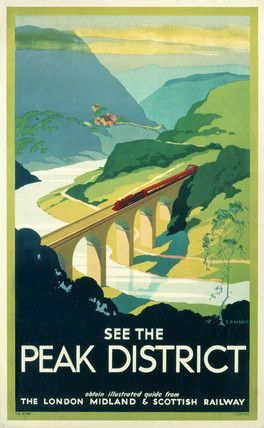 But unlike in the United States and Canada, where the initial task was to encourage settlement, the goals for the posters that came out of Railway Studios were always about getting New Zealanders to explore their multi-island nation by rail. That last part was especially important because between World War I and World War II, New Zealand had become one of the most car-crazy countries in the world. But the artists hired by Railways Studios did such a good job of encouraging the public to take their weekend getaways by train that attendance at churches actually suffered. Stylistically, railroad posters have varied by region. The posters produced by London’s Underground during the 1920s and ’30s used Art Deco to lure residents and tourists alike to flowers in Kew Gardens, theaters in the West End, and the city’s famous zoo. During the same period, Art Deco was given an air of mystery in the railway posters produced in Japan, in which travelers were enticed to visit Japan’s numerous natural parks, where waterfalls and hot springs awaited. And while depictions of trains may have been absent in those posters, sales copy with detailed descriptions of discounts were not. Again, these posters were beautiful, but they always had to earn their keep as sales tools." Referenced from Collectors Weekly. As Steve Thomas has cemented himself as the 21st Century's Titan of the Art Deco Travel Poster, it was only natural that he would develop a series of 1930's style Art Deco Railway Travel Posters, and where better to start than San Luis Obispo. Depicting the idyllic setting of San Luis Obispo, the Pacific Surfliner winds its way through the hills with Bishop Peak standing tall in the background. This piece plays to our nostalgic feeling of the Central Coast, but simultaneously captures our sense of adventure and begs us to take the train and see what we've been missing! Older PostThe Inspiration of Tim Huhn's "Five Dollar Day"